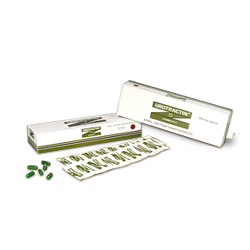 Box of 6 strips @ 10 capsules. AKILEN 200: Dus fill 3 strips @ 10 tablets. AKILEN 400: Dus fill 5 strips @ 6 tablets. Dus fill 2 strips @ 10 tablets. Dus fill 2 strips @ 10 caplets. Bottle glass infusion with 100 ml netto contents. Softbag infusion with 100 ml netto contents. Softbag with net contents 100 ml. Box of 3 strips @ 6 tablets. daily at 12 hours intervals, preferably after meals. period and is well tolerated due to its low toxicity. - Urethritis and gonococcal and non gonococcal servisitis. - Lower respiratory tract infections. - Skin and soft tissue infections. - Infection of the womb, and bacterial enteritis. A day is given for 20 days. - Respiratory tract infections: 200 - 400 mg, 2 times daily. Or divided dose for 9 days. Bacterial enteritis: 400 mg daily, for 7 days. Creatinine less than 20 ml / min. 3. Be careful when given during childbearing. 1 - 2 hours before or after Ofloxacin. 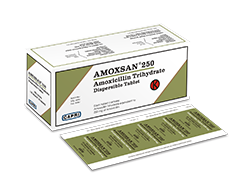 Each tablet contains Amoxicillin Trihydrate USP equivalent to 250 mg of Amoxicillin. • Upper respiratory tract infections e.g., tonsillitis, sinusitis, otitis media. • Lower respiratory tract infections e.g., acute and chronic bronchitis, lobar and bronchopneumonia. • Genito-urinary tract infections e.g. cystitis, urethritis, pyelonephritis, septic abortion, puerperal sepsis. • Skin and soft tissue infections. • Dental abscess (as an adjunct to surgical management). Aerobes : Streptococcus faecalis, Streptococcus pneumoniae, Streptococcus pyogenes, Streptococcus viridans, penicillin-sensitive Staphylococcus aureus, Coryne-bacterium species, Bacillus anthracis, Listeria monocytogenes. Aerobes : Haemophilus influenza, Eschericia coli, Proteus mirabilis, Salmonella species, Shigella species, Bordetella pertussis, Brucella species, Neisseria gonorrhoeae, Neisseria meningitides, Pasteurella septica, Vibrio cholera. Amoxicillin is susceptible to degradation by betalactamase and therefore the spectrum of activity of AMOXSAN ® does not include organisms which produce these enzymes, including resistant staphylococci and all strains of Pseudomonas, Klebsiella and Enterobacter. Posology and method of administration AMOXSAN® Dispersible Tablet may be given without regard to meals. Dissolve one dispersible tablet in approximately one spoonful of drinking water, wait for about 50 seconds until the tablet is completely dispersed into small granules. The suspension may be directly given to patient, followed by drinking water. Usual dosage for the treatment of infection: • Adults and children over 40 kg: for severe infections, 875 mg every 12 hours or 500 mg three times daily. • Gonorrhoea: single 3 g dose. • Children's dosage (Children under 40 kg) Standard children's dosage: 125 mg three times daily, increasing to 250 mg three times daily for more severe infections. Note: Moderate infection are certain infection without complication such as septicemia or bactericemia. Severe infection are certain infection with complication such as septicemia or bactericemia. d. There are currently no dosing recommendations for pediatric patients with impaired renal function. Dosing as for patients with severe renal impairment (creatinine clearance < 10 mL/min). They should receive an additional dose both during and at the end of dialysis. Amoxicillin is removed from the circulation by haemodialysis. Therefore, one additional dose (500 mg for adults or 15 mg/kg for children under 40 kg) may be administered during dialysis and at the end of each dialysis. It should be recognized that in the treatment of chronic urinary tract infections, frequent bacteriological and clinical appraisals are necessary. Smaller doses than those recommended above should not be used. Even higher doses may be needed at the times. In stubborn infections, therapy may be required for several weeks. It may be necessary to continue clinical and/or bacteriological follow-up for several months after cessation of therapy. Except for gonorrhea, treatment should be continued for a minimum of 48 to 72 hours beyond the time that the patient becomes symptomatic or evidence of bacterial eradication has been obtained. It is recommended that there be at least 10 days treatment for any infection caused by Streptococcus pyogeness to prevent the occurrence of acute rheumatic fever. 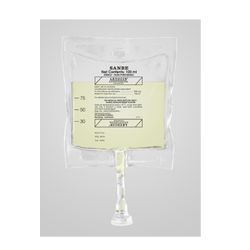 Parenteral therapy is indicated if the oral route is considered impracticable or unsuitable, and particularly for the urgent treatment of severe infection. - Before initiating therapy with Amoxicillin, careful inquiry should be made concerning previous hypersensitivity reactions to penicillin. - Periodic assessment of renal, hepatic and hematopoietic functions should be made during prolonged therapy. - Patient with renal disorder must be monitored for its plasma and urine level. - Patient with renal disorder must be necessary to reduce the total daily unit amoxicillin dosage. - As with other antibiotics, Amoxicillin administration may cause superinfection (the common causes are Pseudomonas, Enterobacterium, S. aureus and Candida). If it occurs, treatment should be discontinued and appropriate therapy should be instituted. 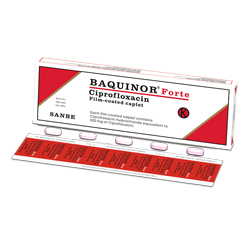 - Not for meningitis or body joint treatment (since oral Amoxicillin does not penetrate the cerebrospinal or sinovial liquid). - Caution should be taken when this drug is administered to patients with lymphatic leukemia due to Amoxicillininduced skin rash susceptibility. - It may be necessary to reduce the total daily unit amoxicillin dosage accordingly for patients with renal disorder. - This product contains mannitol; it may cause osmotic diarrhea in some patients. - Patients with infections mononucleosis (glandular fever), lymphatic leukaemia and possibly with HIV infection are particularly prone to developing erythematous rashes with amoxicillin. 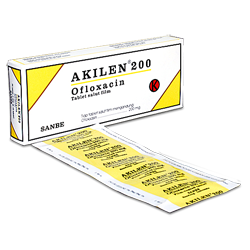 Amoxicillin should be discontinued if a skin rash occurs. Hydrochloride equivalent to 250 mg Ciprofloxacin. E. coli, K. pneumoniae, E. cloacae, Pr. Mirabilis, Ps. Aeruginosa, H. influenzae, H. parainfluenzae. E. coli, K. pneumoniae, E. cloacae, Pr. Mirabilis, Pr. Which does not produce penicillinase), Staph. E. cloacae, S. marcescens and Ps. Aeruginosa. E. coli, K. pneumoniae, E. cloacae, S. marcescens, Pr. Ps. Aeruginosa, Staph. Epidermidis and Str. Faecalis. E. coli (enterotoxigenic strains), C. jejuni, S.
Severe urinary tract infection: 500 mg, 2 times daily. Severe infection: 750 mg, 2 times daily. - GI infection: 500 mg, 2 times daily. 750 mg, 2 times a day. Or halved if given 2 times a day. - Or according to doctor's instructions. Containing aluminum or magnesium hydroxide. The dose of theophylline should be reduced. 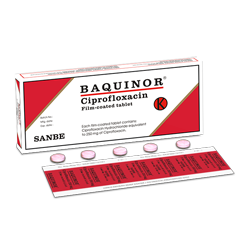 Ciprofloxacin Hydrochloride equivalent to 500 mg Ciprofloxacin. - Urinary tract infections including prostatitis. - Urethritis and cervicitis gonorrhea. - Bone and joint infections. - mild / moderate urinary tract infection: 2 x 250 mg daily. - Urinary tract infections: 2 x 500 mg daily. Skin and soft tissue: 2 x 250 - 500 mg daily. Soft: 2 x 500 - 750 mg daily. - Chronic prostatitis: 2 x 500 mg.
- Gastrointestinal infections: 2 x 500 mg.
- Acute gonorrhea: 250 mg single dose. 3 days, after clinical symptoms disappear. 2 times a day, the dose should be halved. • Immediately discontinue use of this drug. Which uses the affected tendon. - Giving should not exceed the recommended dosage. Suffering from CNS side effects. Will be more severe if taken with alcohol. - Avoid suffering from excessive sunlight. Upper and lower urinary tract: 2 x 100 mg daily. - Other infections: 2 x 200 mg daily. Intravenous treatment can be forwarded orally. Then the dose should be halved. Side of the central nervous system. Will be heavier if given with alcohol. Levofloxacin Hemihydrate equivalent to 500 mg of Levofloxacin. - Acute exacerbation of chronic bronchitis. mothers and children < 18 years of age. (Creatinine clearance> 80 ml / min). allergic occur, the drug should be discontinued. machinery or performing other tasks requiring coordination. and to discontinue therapy if phototoxicity occurs. in patients receiving quinolones (including Levofloxacin). these reactions occur, the drug should be discontinued. appearance of a skin rash or any other sign of hypersensitivity. and may range in severity from mild to lifethreatening. sufficient fluids to avoid crystalluria. - Urinary tract infections with complications (including acute pyelonephritis). 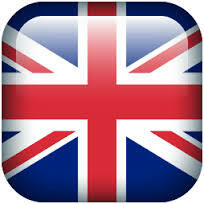 - Uncomplicated skin infections and skin structure (mild to moderate). - Levofloxacin i.v. Is reserved for patients who can not tolerate oral dosage forms. 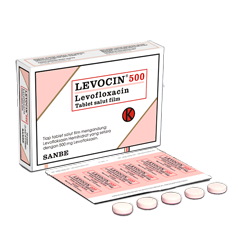 - LEVOCIN is usually given for 7-14 days depending on the severity of the disease. The usual doses in patients with normal renal function are: 250-500 mg once daily (depending on the type, severity of the infection and the sensitivity of the pathogen causing the infection). Initial treatment i.v. After a few days it is possible to be replaced by oral administration according to the condition of the patient. - Elderly patients and patients with liver damage (but normal kidney function) may receive normal adult doses. - Dosage for patients with impaired renal function as follows (creatinine clearance <50 ml / min). The next dose: 250 mg every 24 hours. The next dose: 125 mg every 24 hours. Levofloxacin i.v. Should be given slowly through infusion i.v. For a dose of 500 mg (100 ml) infusion should not be less than 60 minutes. Protection of light during infusion is not necessary. - If hypersensitivity reactions (skin rash, hives or other skin reactions, a rapid heartbeat, difficulty in swallowing or breathing, swelling of the lips, tongue, face, tightness in the throat, hoarseness) or other symptoms of allergy occur, the drug should be discontinued. - Should be used with caution in patients with renal insufficiency (creatinine clearance < 50 ml/minute), adjustment of the dosage regimen is necessary to avoid the accumulation of Levofloxacin. 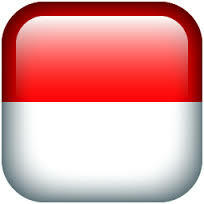 - Observe caution while operating an automobile or machinery or performing other tasks requiring coordination. - Discontinue treatment and inform their physician if they experience pain, inflammation, or rupture of a tendon. - Avoid excessive sunlight while receiving Levofloxacin and discontinue therapy if phototoxicity occurs. - If they are diabetic and are being treated with insulin or an oral hypoglycemic agent and hypoglycemic reaction occurs, they should discontinue Levofloxacin and consult a physician. - Should be used with caution in any patient with a known or suspected central nervous system disorder that may predispose to seizures or lower the seizure threshold (e.g., severe cerebral arteriosclerosis, epilepsy) or in the presence of other risk factors that may predispose to seizure or lower the seizure threshold. 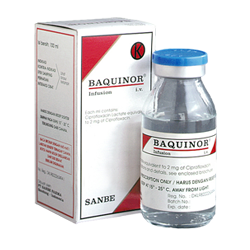 - Convulsion and toxic psychoses have been reported in patients receiving quinolones (including Levofloxacin). Quinolones may also cause increased intracranial pressure and central nervous system stimulation which may lead to restlessness, lightheadedness, tremors, hallucinations, depression, paranoia and nightmares. If these reactions occur, the drug should be discontinued. angioedema, hypotension, shock and cardiovascular collapse. The drug should be discontinued at the first appearance of a skin rash or any other sign of hypersensitivity. 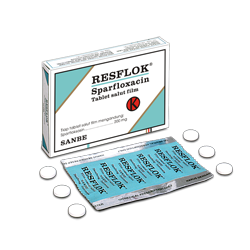 - Treatment with antibacterial agents (including Levofloxacin) alters the normal flora of the colon and may permit overgrowth of clostridia. Studies indicate that a toxin produced by Clostridium difficile is one primary cause of colitis. diagnosis in patients who present with diarrhea subsequent to the administration of any other anti bacterial agent. - Periodic assessment of organ system functions, including renal, hepatic and hematopoietic is advisable during prolonged therapy. The patient should drink sufficient fluids to avoid crystalluria. Lower resp tract infection, community-acquired pneumonia, acute exacerbation of COPD. Adult Community-acquired pneumonia & acute exacerbation of COPD Initially 400 mg as a single dose on day 1, then 200 mg daily for 10 days.